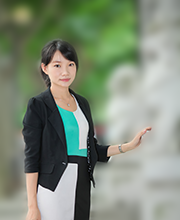 Chenyu Shan (“Susan”) is a Visiting Assistant Professor of Finance at Shanghai Advanced Institute of Finance (SAIF). Susan obtained her Ph.D. in Finance at the University of Hong Kong in 2013. She was a Fulbright visiting scholar at Wharton School, University of Pennsylvania 2011-2012. Susan’s research mainly focuses on areas of credit default swaps, credit risk, credit market, corporate finance, and banking. Susan’s research papers were selected into major conferences including Western Finance Association (WFA), European Finance Association (EFA), Financial Intermediation Research Society (FIRS), The Society for Financial Studies (SFS) Finance Cavalcade conference, China International Conference in Finance (CICF), among others. She received many honors and awards, including the FGV/HSG Best Paper Award in Finance in 2016, CICF Best Paper Award in 2015, Conference on Financial Markets and Corporate Governance Best Paper Award in 2014, Chinese Finance Association (TCFA) Best Paper Award in 2011, the 2012 AFA Travel Grant, and Beta Gamma Sigma in 2013. Susan won the Fulbright Fellowship Sponsored by U.S. Department of State in 2011.